National is a deceptively simple sans serif with subtle quirks in the details that give it a distinctive — but not distracting — personality. While National travels through, and touches on, a lot of historical material, it is designed to thrive in our modern typographic climate. National’s details are drawn from the best pre-Akzidenz grotesques, giving it a humble, workmanlike character with an agreeable tone of voice. Its extensive character set includes a wide array of accents, seven numeral sets, alternate forms for some base glyphs, and small caps across all styles. In short, all the good things that the exacting typographer should expect from a contemporary OpenType typeface. 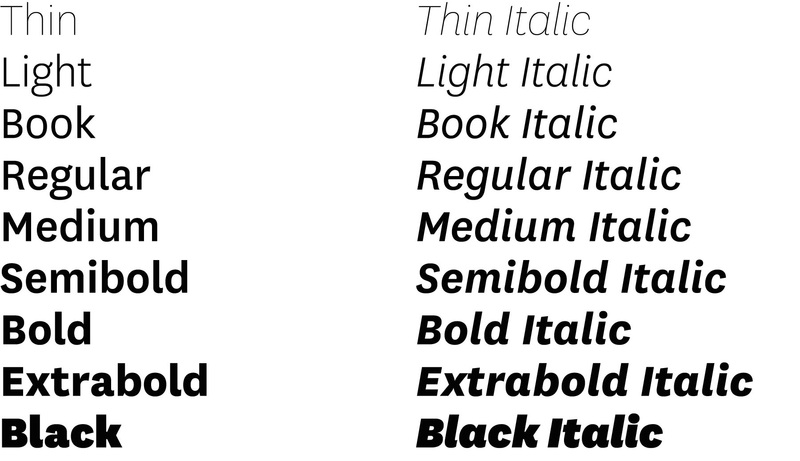 National is available in nine feature-rich weights in Roman & Italic with built in small caps.